To offer people of all backgrounds and abilities opportunities to participate in the sport of angling, thereby improving their quality of life. 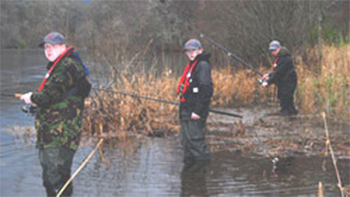 Allow the participants a chance to enjoy the sport of angling. Provide safety awareness through education and good practice. Develop people’s skills and self-confidence. Encourage responsible and positive participation within the sport and the community. Raise awareness of all participants of environmental issues related to the countryside and areas of water through angling. Provide instruction of the highest quality in angling techniques and fishing etiquette. Support any participant wishing to obtain recognised qualifications in angling and angling related subjects. Divert people away from anti-social behaviour and thereby reduce crime and create safer communities.